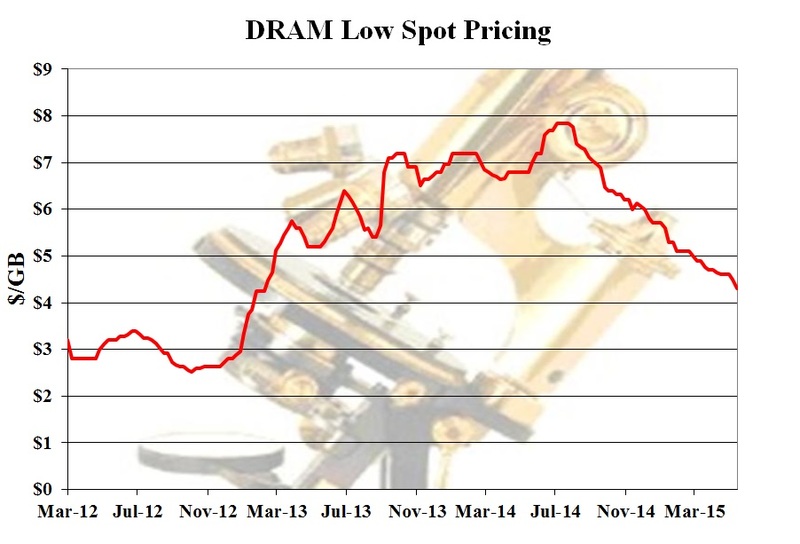 For the past ten months DRAM prices have been undergoing a steady slide. Is the market in a crisis? Not really! Today’s low spot price of $4.30/GB puts us on a par with February 2013, a full two years ago (see chart). DRAM makers have done a lot to reduce their production costs since that time, so their margins this quarter will be much better than they were in the first quarter of 2013. 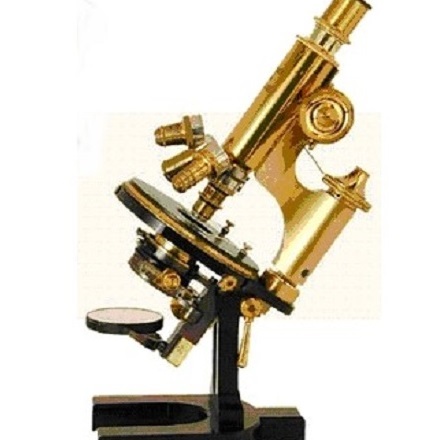 But we are still a very long way from the bottom of the last market downturn. In late 2012 spot prices reached a low of $2.52/GB, a full 41% lower than today’s lowest spot prices. The Memory Guy models the production costs of leading memory chips, and DRAM manufacturing costs have been decreasing for the past several years at an average annual rate of about 30%. That means that costs today are about half of what they were two years ago, and one third of their level this time in 2012. So even though today’s prices have dropped as low as they were in February 2013, costs are now 45% of their February 2013 level, and they’re about 40% of where they were at the bottom of the last cycle. 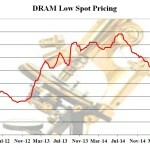 DRAM makers are profitable (as their earnings reports indicate) and they should be able to withstand a lot more price erosion before that turns around.